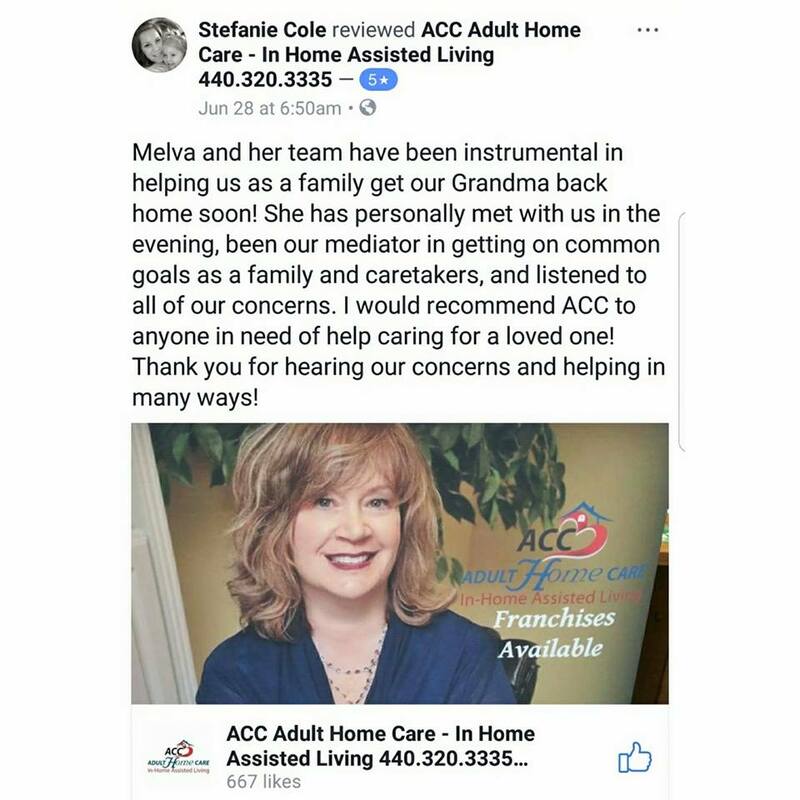 OUR CLIENTS LOVE ACC - AND THEY LET US KNOW! 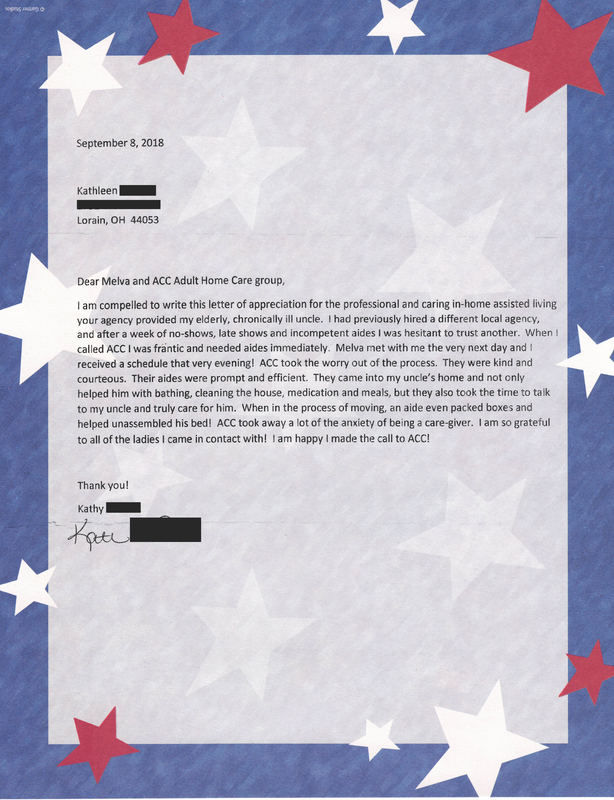 When we receive Thank You cards from our clients, we feel all warm and fuzzy and want to share them with the world. Take a moment to read these reviews and ask yourself if this is the type of company you'd trust to care for you or your loved one. Thanks for sending Sherry here. She's the comfort in Comfort Care. Your service is such a great gift. Staying in my home gives my spirit a lift! Thank you for all of your fine work. Thank you for the wonderful care you have given our mother over the past year and a half. Thank you for being so responsive when we needed help with mom. It really gives us peace of mind to know you are there if we need more help. 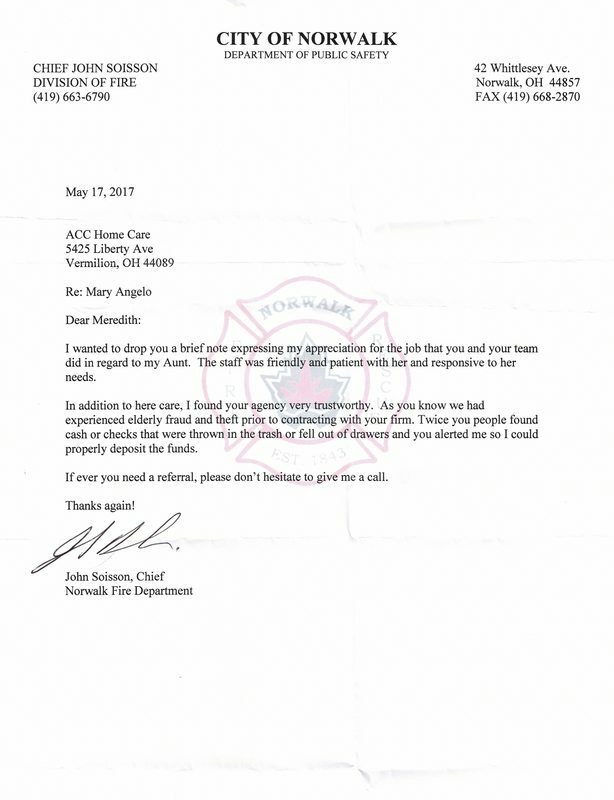 that really takes a team effort in your office - great job and thank you again!